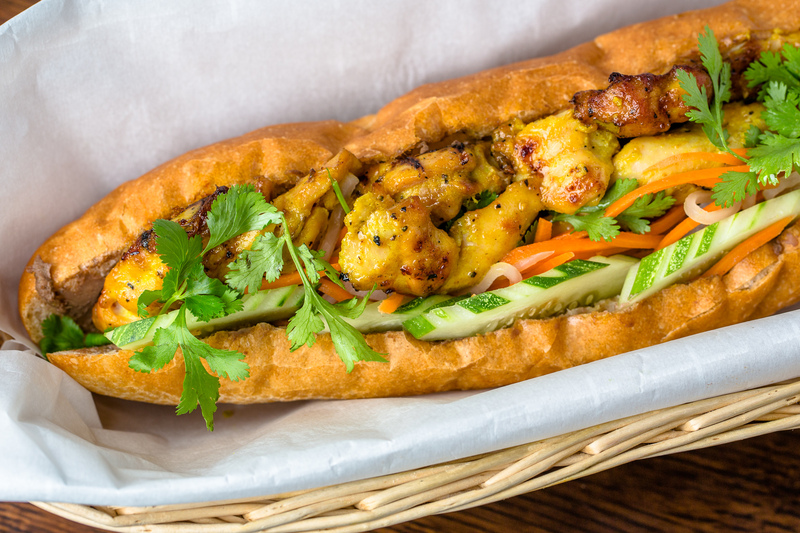 Deliciously grilled Turmeric chicken on a fresh 9 inch french baguette spread with freshly made aoili and truffle pate. Topped with fresh cucumbers, pickled daikon and carrots and cilantro. Optional Jalapenos or sriracha sauce, request in notes upon checkout.